In the past 13 years, majority of Arsenal fans that support the club have had to watch with envious glances at the likes of Chelsea, Manchester United and Manchester City dominate the league but the nearest future is still looking bright for The Gunners. The 13-time league champions are currently out of the top 4 picture at the moment, but should be confident about returning to Europe’s top table come the end of the season. The situations concerning the future of Mesut Ozil and Alexis Sanchez have not helped the club, as both men have literally held the club to ransom over their contract extensions. With Arsene Wenger looking like he has signed his last Arsenal contract, the club is planning for life after the legendary Frenchman. While the wily old manager is the greatest in the club’s history, many fans and pundits have called for him to leave the club he’s been for 21 years. The club have failed to win the league title in 13 years, a damming indictment of a club of Arsenal’s stature. The club have recruited Raul Salenhhi, the former Barcelona sporting director in a bid to attract a host of the world’s best players. The likes of Steven Nzonzi and Thomas Lemar are reported to be close to a move to The Emirates stadium, of which their arrivals will lift the club to new heights. Despite finishing fifth in the league last season, Arsenal’s finances are still solid for a club that is without Champions League football. The administration of the club is top-notch, meaning that the club won’t find itself in a situation where they have to borrow from other sponsors to see to the day-to-day running of the club. 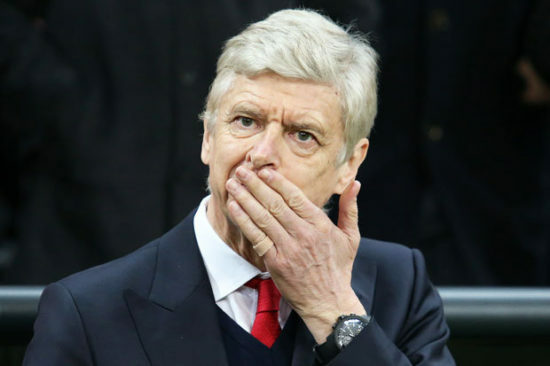 The results are not looking good, but there is a growing feeling that the club want to step out of Arsene Wenger’s shadows, as for too long, the 67-year-old has dictated everything going on at the club. The likes of younger managers like Mikel Arteta, Thierry Henry, Patrick Vieira and even Per Mertesacker are being mooted to take over from Wenger. It may take time for these former club players to have impact, but their philosophies about football mean that the club will go more modern in their style of impacting the team as regards tactics and that can only help the team. Arsenal fans must remember that behind the cloud, there is always a silver lining. The darkest hour is just before dawn.